Our Guests often comment that visiting here feels like their home away from home. We’ve created this VIP program with services and special offers for your return visits to say “Welcome Home” to Bird-in-Hand! Plus, after nine nights with us, you will earn Bird-in-Hand VIPPlus status and receive even more. Please see the benefits below and click here to complete the enrollment form. Special discounts at restaurants, shops, theatres and other attractions around Lancaster County. Click here for current offers. After staying nine nights with us, you’ll earn Bird-in-Hand VIPPlus status and receive room upgrades, if available, and a $50 credit good at any of our lodging properties. After staying nine nights with us, you’ll earn Country Acres VIPPlus status and receive a welcome treat with every visit and a gift certificate for breakfast for two at the Bird-in-Hand Family Restaurant & Smorgasbord. The Smucker Family invites all Guests of Bird-in-Hand lodging properties to join them for a special summertime treat. Our make-your-own sundaes will feature artisan ice cream from the Bird-in-Hand Bakery & Cafe. 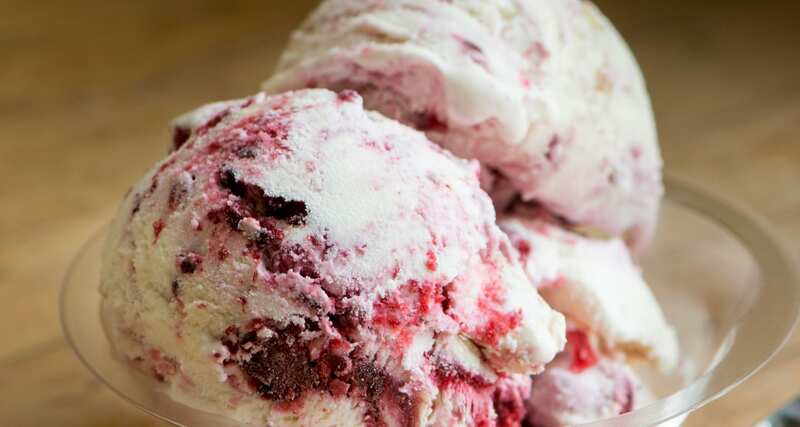 Our premium ice cream is made on the premises with local fruits and all-natural flavorings. We craft it by hand in small batches in a variety of favorite flavors. All lodging Guests at all properties are invited to the ice cream socials.